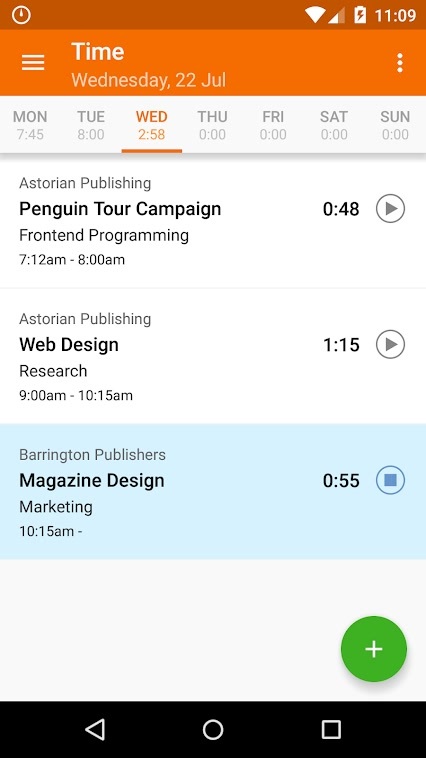 Being a freelancer, I have tried a number of time tracking apps for Android. There was one problem though: most of those apps were made for teams. Of course, it had a lot of features for collaboration and intra-team communication, but not what I wanted. 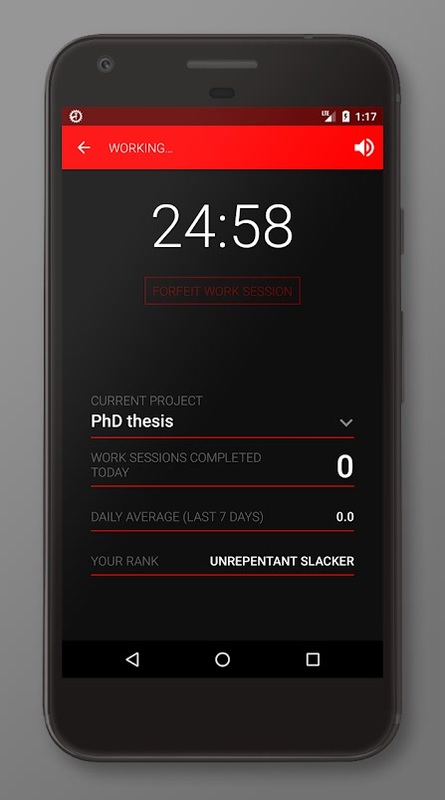 For a while, I was looking for a decent time tracking app for Android. And we decided to come up with a list of such apps. In this list, you’ll find some of the best time tracking apps that are made for freelancers. So, the next time you want to keep track of your working hours, projects or do some invoicing, you can count these apps in. Timely Time Tracking is part of a very popular time-tracking solution for teams. However, the service offers a dedicated Solo plan, which is suitable for freelancers. So, after installing Timely Time Tracking, you can pick your purpose. It is commendable that the app minimizes unwanted features in an effective manner. When it comes to using the app, you will never be distracted. Concerning the app UI, it’s completely easy to get used to. Thanks to the Calendar-inspired design, you can know how much time you have spent and money earned every day. You can create multiple projects as well as clients that you work with. Thanks to the labelling system, it’s easy to organize stuff too. There is also an advanced feature named Memory, which tracks your app activity for logging time. The Verdict: If you are ready to pay per month, Timely Time Tracking is a great app for freelancers. It offers an optimized interface for freelancers, which is easy to use. That said, there is no compromise of any features either. If you need a simple time tracking app with Project, Client and Label support, you can go for Timely. Productivity Challenge Timer doesn’t fall into the category of a typical time tracking solution. Instead, it focuses on providing a productive work environment. The app has done some kind of gamification within. So, it will be fun to keep track of your work and reach more levels. On the other hand, Productivity Challenge Timer lets you create a customizable working session. You can set the desired length. The app will also let you take breaks at certain intervals, which is a part of developing your overall productivity. Don’t expect Productivity Challenge Timer to improve your work-life balance. On the other hand, all its features are aimed towards working hard or working better. The Verdict: Productivity Challenge Timer isn’t a great choice if you are looking for a usual time tracker app. On the other hand, if you want to improve overall productivity, you can give it a try. We really loved the way how the developers have gamified the application. It’s also proven that taking short and long breaks between work sessions can improve your focus and productivity. So, it’s all scientific too. 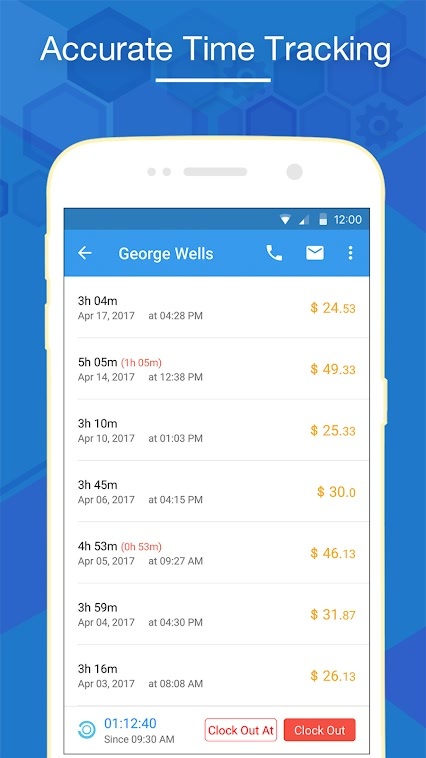 Harvest is another time tracking app for Android that you can consider if you’re a freelancer. It is the official app of Harvest, a premium solution for time-tracking. Although the service is aimed at teams, we found the experience suitable for freelancers as well. Unless you want, you can keep all the advanced features away. Also, the UI is more straightforward and easy to master. The primary UI of Harvest may be similar to that of Timely, but some things are different. For instance, we’d loved the easy way to create a Task Timer. That having said, we found that the Harvest Android app works only as an extension. For instance, if you want to create an invoice, you will have to head to the web app. In spite of that, all basic features like client management work smoothly. The Verdict: Harvest fulfils every need you have in mind when you think of a time-tracking app for Android. 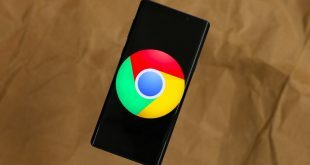 Particularly, the UI is well-made that it integrates well with Android. Just like Timely, Harvest is also following a Calendar-inspired design. It even shows some cool quotes every time you slide between days. For people who need basic features, Harvest is a clear choice. 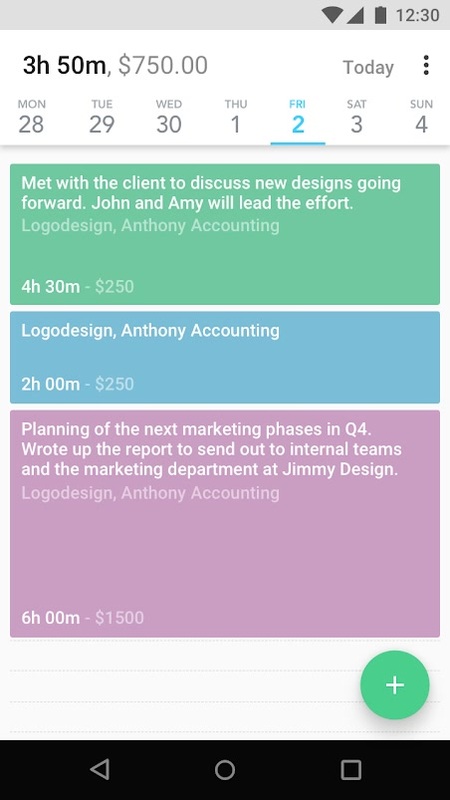 Suggested by a friend, I have personally found Hours Keeper as an awesome way to track the amount of time you spend on work. Unlike all the apps we have covered above, Hours Keeper gives you a dashboard that is rich with information. Just a simple look at the dashboard will give you enough information about your work hours and payments. The aspects of Client Management and Project management are way better when compared to the others on the list. The best part is that Hours Keeper has managed to include all those features without tampering the simplicity of the UI. It also packs a few features like Invoice making and Calendar view so that you have a better idea of your timings and the overall income. The Verdict: Hours Keeper is the perfect choice if you need a time-tracking app with better features. Despite the simple UI, the developers have managed to include Invoice support and other features. You can do many tasks without needing the web app of Hours Keeper. It even creates professional-looking invoices. While the free version is enough for most freelancers, there is a Pro version with advanced features. Among 20+ time-tracking apps we tried, we think Timesheet is the best-suited for freelancers. The app has been designed in a quite flexible manner. Unless you really want an advanced feature, you won’t be forced to use that. For instance, if you want a simple-enough interface for keeping all the tasks on time, there won’t be an option better than Timesheet. Timesheet provides enough control for the freelancer. To start with, you can easily manage your Projects, Tasks, Tags and even Rates. So, when it comes to adding a new timer, it will be a matter of seconds. Once it has necessary data, Timesheet can show you advanced statistics as well. You can drag the sidebar to access any area of your choice. More importantly, Timesheet does not want you to have an account. All the apps we have covered above require an account. In the case of Timesheet, you don’t need an account unless you want to sync information with the web app. For those advanced features, however, you will need the paid subscription of the service. It’s impressively customizable too. 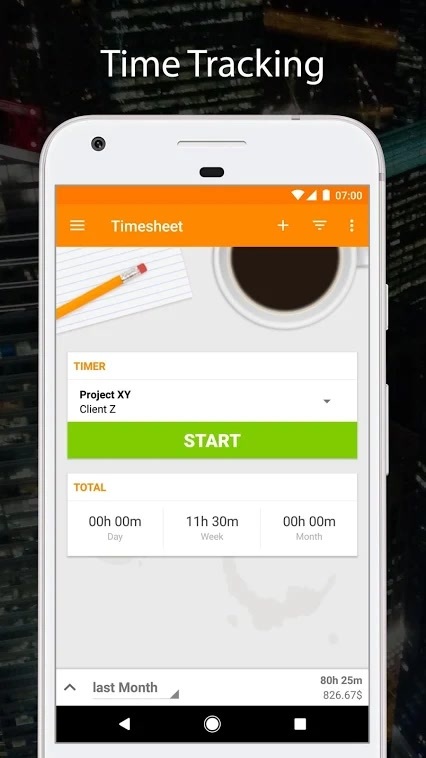 The Verdict: Timesheet is the perfect time-tracker app for Android for almost every freelancer out there. It gives you the freedom to choose the features you need and leave the rest. For instance, if you don’t want to sync data, you don’t have to register. Despite all the minimalism, Timesheet offers some cool features such as Automation and Export/Import. While testing the popular time-tracking apps, we come across a few interesting apps too. They don’t actually deserve a space on the list, but they certainly deserve a special mention. Jiffy Time Tracker comes with an out-of-the-box UI that makes everything simple. However, you may need some time to get used to the UI. That having said, if you are okay with trying something new, it is worth checking out. Toggl is actually one of the most popular time-tracking solutions out there. It offers a bunch of cool features and interface. 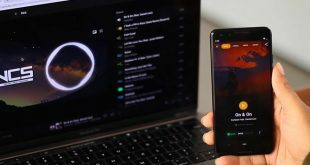 If it wasn’t for the bugs and lack of sync, Toggl would have been at the top of the list. 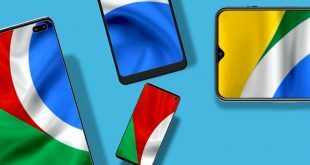 So, these are the best time tracking apps for Android for freelancers. While some of the apps are exclusively made for freelancers, others have a Freelancer-only version. Also, there are hybrid ones like Timesheets and Hours Keeper. While choosing, you should also consider whether you need multi-platform support. If you’re looking for a standalone app, you can go for Hours Keeper or Timesheets. On the other hand, if you can pay for a full time-tracking solution, Harvest and Timely seem to be good too.